The increasing digitalisation of the economy is resulting in a shift from insurance that is primarily concerned with loss indemnification to one that provides a broader advisory service for customers on how to prevent, mitigate and manage risks, according to a report by international re/insurance think-tank The Geneva Association (GA). New possibilities introduced by real-time monitoring and visualisation are fundamentally changing the relationship between re/insurers and customers by allowing companies to promote risk reduction strategies and better align premiums with individual customers’ behaviour, the report stated. GA claimed that the ability to develop new and more customer-centric products represents the greatest source of value creation for re/insurers, while digital technology will at the same time increase the efficiency of administering, underwriting and pricing risk through data processing. In a competitive market, the strategic use of personal client data will ultimately lead to lower premiums, as well as better affordability and coverage, GA said, although it may present moral issues in terms of data protection, privacy, and unfair premium pricing. For example, individual risk-based insurance could mean that some high-risk individuals would be denied cover or would face prohibitively high insurance costs. While this is not new in the insurance industry, it is likely to become more accentuated in an increasingly digitalised economy. Compliance with data protection requirements will also be essential for re/insurers to ensure transparency in their use of big data and private information as the range of granular data available to companies continues to expand exponentially from a broad range of sources. However, GA maintained that more accurately aligning premiums with the underlying risk will benefit both re/insurers and policyholders, while enhanced data will facilitate risk management and early warning systems that allow for timely interventions to reduce losses and support insureds. This will be particularly relevant in developing countries and emerging markets, where digitalisation and new technologies can help to improve access to insurance by making it more affordable, creating new markets, and increasing insurance penetration. 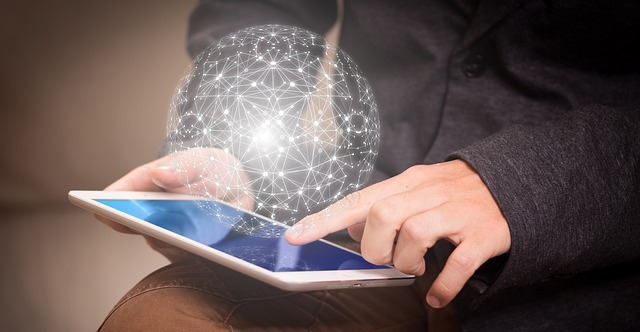 “Accelerated digitalization and the growth of connected digital environments create new vulnerabilities and potential consequences that are less predictable than they have been to date,” said Anna Maria D’Hulster, Secretary General of The Geneva Association. Digitalisation will also allow re/insurers to better engage with underinsured people by improving underwriting efficiency, which has traditionally been impeded by the cost, length, and invasiveness of risk assessments. Similarly, claims handling processes are likely to be simplified and streamlined by automated loss notification, real-time processing of claims, predictive damage estimates, self-service capabilities and electronic payments. Insurtech start-ups are also transforming claims handling processes through the use of artificial intelligence bases early warning systems, as well as post-event estimation techniques that make use of drones, sensors and satellite images. Finally, GA said that insurance distribution channels are likely to grow more consumer-centric as mobile and internet channels become more dominant, as can be seen already in certain lines such as motor insurance, where the nature of cover has been increasingly standardised.